If you need to sell your home in San Antonio, Texas, then you’ll love working with us. Here at Texas Home Offers of San Antonio, we love buying homes with minimum hassle, and most importantly, we do it fast! We buy houses in any type of condition and for CASH! We make you a fair cash offer within a few hours of viewing your home. Call us today at 888-523-1005 or fill out this simple form for a non-obligation and FREE offer—there is nothing to lose but so much to win! Don’t let your situation get ugly! 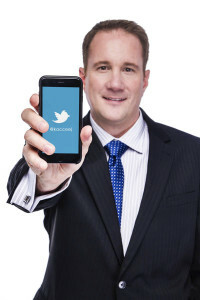 You have tried selling your home in Houston but are facing many roadblocks? Is selling your home the traditional way taking too long? Have you tried listing with different real estate agents with no luck in sight? Selling a home the traditional way, with a real estate agent, is not the best option for everyone. The biggest problem when trying to sell a home with a real estate agent, or when you try to sell it yourself, is that buyers will often tie you up for weeks or months and pull out of the deal last minute… or their loan might fall through. And what does this mean for you? It means all that extra stress and worry, many wasted months, large agent fees, and no results for your problems—you’re right back to square one! Where should you turn? What should you do? Well, Texas Home Offers of San Antonio is the solution to your real estate problems. We don’t belong to a national company; instead, we’re based right here in your home town of San Antonio, Texas. We proudly serve the communities of Corpus Christi, Dallas, Houston, Austin, Seguin, Alamo Heights, Olmos Park, Terrell Hills, Hildebrand, Riverwalk to the Alamo and beyond. 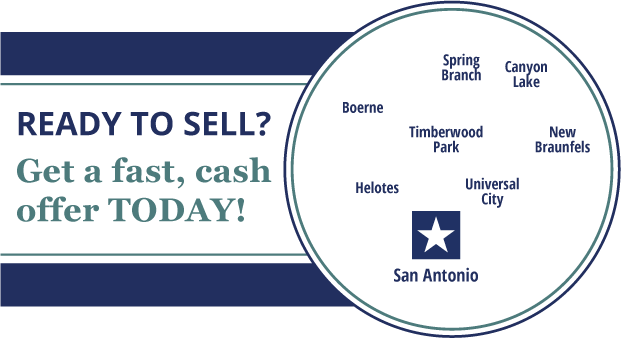 Texas Home Offers of San Antonio knows the San Antonio real estate market and we absolutely love helping people get cash for their homes. We are confident we can give you top dollar for your home and buy it as-is, saving you from months of unnecessary stress, financial disasters, or even the dreaded foreclosure. We are the leaders in buying houses in San Antonio. Your home can be rundown, destroyed, or out of date, and the best part is that you don’t have to fix it—because we can buy it as-is! With our services, you’ll avoid agent fees, open houses, and time and energy. We pride ourselves on our reputation for working one-on-one with each customer and handling each person’s individual needs. With our ability to directly purchase homes and make cash offers, our company can create a very fast and hassle-free transaction for you. There is nothing to lose, so why not contact us today and let us serve you? When you need to sell your home fast, without the hassles of delays, hiring real estate agents, or spending money on repairs, Texas Home Offers of San Antonio is the place you need to turn. There are many situations we can help you out of, including foreclosures, divorces, relocating, inheritances, unwanted properties, vacant houses, beat up houses, behind on payments, owed liens, downsizing, or if you are just having troubles selling it. We can get you out of any bind, if you let us. Basically, if you have a property and need to sell it, we will make you a cash offer and relieve your stress. Maybe you lost your job and can no longer afford the payment on your home… Maybe you’re facing divorce and need to sell your home quickly… Maybe your home is in need of major repairs and you just don’t have the money to do it. Maybe you’re relocating and need to sell your home fast… Maybe you owe more than the property is worth. Don’t panic, Texas Home Offers of San Antonio is here to help you. Bad things happen in life and we know it, firsthand. Many of our clients were in the same spot that you’re in right now. The solution to your problems is working with us. We will help you out of the bind you’re in right now—we’ll buy your house fast and give you the cash you need! The fact is, we’re not like realtors that you have dealt with in the past. We have a deeper knowledge of the real estate market and understand how to purchase distressed homes. We can give you a fast closing with cash whenever you need it—in only 7 days! We can buy your property in poor condition, which means buying it as-is. 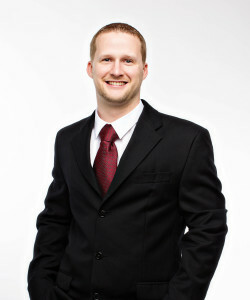 You don’t have to spend money on repairs, no money on closing fees or real estate commissions. Thanks to our expertise, we buy San Antonio properties in any condition, in any price range, and in many locations in Texas. And we’ll buy it no matter the reason you’re forced to sell it. The bottom line is, here at Texas Home Offers of San Antonio, we make the process, fast, easy, and stress-free. As you know, the longer you sit and wait, the more time and money you waste, and the worse your situation will get. If you want to act quickly, then you need to work with us today. We can guarantee you’ll be satisfied in the end. We have already purchased many homes in the San Antonio area and our reputation speaks for itself, so let us help you! Texas Home Offers of San Antonio offers a respected home buying service. Our professional, experienced home buying team is dedicated and eager to help homeowners just like you sell their properties fast—no hassles, no games, and no fees. We’re not agents, we’re homebuyers who want to buy your house for FAST and for CASH! To benefit from our services, contact our friendly and knowledgeable staff at 888-523-1005 or simply fill the questionnaire for a fast reply. We look forward to helping you out of your jam!